Whatever business you might own and run, you will surely be using a computer or laptop where you store all of your daily transactions and business activities. What’s more is that some of that data may also pertain to the records of your clients and other customers who buy your products or use your services on a daily basis. So it is but obvious that all this data is very crucial for you. But what would you do if one day your system would suddenly stop running properly or cease to function entirely? All of that priceless data and client information that you have been collecting over months and years will be lost without a trace. And the repercussions of this hard disk or system crash will spell disaster for your whole business, as you will lose all records of those financial reports or sales transactions which you had taken great pains to document and save on your system. Therefore to avoid such adverse situations from occurring, one needs to plan ahead and start creating some backup for all this data. 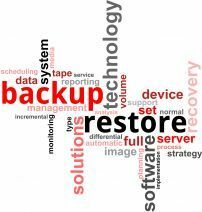 This can be done by using a useful tool called a Backup and Disaster Recovery Tool. With this tool the information that you store on your system will immediately get backed up by a company that is providing you this backup tool as a part of their managed IT services. This tool actually makes a duplicate copy of all the data that you save on your system every day and stores it in a safe and secure location. So now whenever there is any malfunction with your computer’s hard disk you will relaxed an undisturbed. And in the case your systems do get damaged due to some unforeseen circumstances, your data will always be safe from being lost forever and can be retrievable as and when you ask for it. But external elements may not be the only reason for loss of your business data. In this online age of the internet, there are many threats that may come in the form of viruses like worms and Trojans or even malware, which can infect your systems causing huge data loss. This is all the more reason why you should ensure that all your data is always secure and backed up in the event that these online threats are able to penetrate your networks firewalls. And if due to any unfortunate incident where your data does get lost one day, the efficient Backup and Disaster Recovery Tool which you had installed will always be ready with the data that you had been storing on your system. This will help you retrieve all of the lost data within a just a couple of minutes so that you can continue to go about your daily business routine without losing any of your company’s valuable time or resources.